The XIII Ordinary Session of the Synod of Bishops will be held in Rome October 7-28 on the theme, “The New Evangelization for the Transmission of the Christian Faith.” The Emerging Theologians Network, in partnership with the International Catholic Movement for Intellectual and Cultural Affairs (ICMICA-Pax Romana), is collecting blog posts on the synod’s theme. When Augustine described God as “ever ancient, ever new” what did he mean? Certainly neither that God is a crumbling ruin nor the latest fad. Rather, Augustine’s poetic imagery gives praise to the God whose creation of the world inaugurated time itself and whose sustaining love holds each creature in being at every moment. This is the beauty of God who leads us to history’s fulfillment, a time when God will be all in all. Preeminently through Christ, God does not remain apart from the world, but rather enters into it. Christ’s full participation in human history inaugurates God’s reign by mercifully restoring just relationships founded in love; through the Holy Spirit, God’s presence in the world continues unabated. From this perspective, evangelization’s role in the world today is the same as ever: to share with all the good news of Christ and the hope of the Holy Spirit. The “newness” of evangelization comes from the church’s acknowledgement that in our own time religion is regarded by many as a benign private choice; quaint cultural detritus; superstitious expressions of unreasonable beliefs; and dangerously oppressive ideology. It is tempting to blame these descriptions of religion in general—and of Christianity in particular—on the sinfulness of a world caught up in the hubris of secularism. Without denying the ways in which individuals and groups are hostile to religion, the church also does well to remember that the New Testament recounts the failure of those closest to Christ to fulfill their call to faithfulness and the scandal of early Christian communities whose internal injustices and hostilities belied a new identity in Christ. Disregard and animosity for religion did not arise in an historical vacuum; rather, as a church we must each acknowledge our responsibility for inauthentic discipleship that creates stumbling blocks of incredibility. The People of God’s need for conversion is both ancient and new as well. The Spirit’s call to continual reform into the image of God revealed by Christ finds expression in the Second Vatican Council’s example of ressourcement and aggiornamento. Through these two principles the church continues to encounter the source of our identity while faithfully living out that identity in new places, cultures, and idioms. Trusting in the unfailing love of God, the church recalls that we share with all people a need for forgiveness and mercy. In part, then, the new evangelization can give to the world a church committed to renewal, a church actively and literally re-membering ourselves as the Body of Christ so as to be a credible witness in the world. Yet, we are not a body whose purpose is to rest in our sanctity; instead we grow in holiness as our salvation is “worked out . . . in fear and trembling” (Phil. 2:12). We find ourselves in the position of Peter, whose forgiveness is inextricably linked to Christ’s mandate: “feed my sheep.” (John 21: 15-17). In cultivating our own reception of Christ, the Word, we are committed to helping others to receive and bring to harvest the fruits of the Kingdom (Mark 4: 1-20). Christ is given to the world for the sake of love, and Christ gives the church to the world for the same purpose. Just as Christ received the fullness of humanity through God’s gift, so too does the church receive the fullness of the human condition. This dynamic of gift and reception is paralleled in the church’s communication of the good news, which must be shared mutually, not unilaterally. The church mistakes our task in the new evangelization if we envision “the world” as a formless void untouched by God’s grace. While the New Testament provides us with many different ways of imagining Christ’s work—justification, liberation, ransom, reconciliation, redemption, salvation—the context in which that good news is received is always particular. The good news of God’s forgiving love is ever ancient; the individuals and communities who receive that love are ever new. To share the good news does not only mean that we pass along our own experiences of Christ; rather, it means we must also strive to share the contexts of all peoples and to learn intimately how Christ is received as good news today. This is not to abandon the church’s past experience of salvation, but is rather to collaborate continually with the Spirit whose role in the incarnation allowed Christ to walk a human path in order to listen and learn, speak and teach. Today the Spirit calls the church to continue Christ’s way of encountering the world. 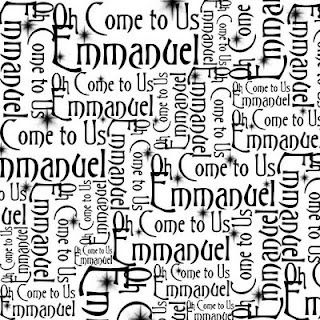 Through the new evangelization we can humbly imitate Christ’s solidarity with the world as Emmanuel, “God with us,” yesterday, today, and forever; we can share the invitation that was given to us as well, to rejoice in the presence of our faithful God, whose beauty is ever ancient and ever new. ← Theological Education or Evangelization? Thank you Amanda. To evangelize while being humble is a difficult balance. In Transforming Mission, Bosch calls for “a bold humility” or “humble boldness” in the Christian mission. Sadly, too many people seem to be more prideful than anything.